Our team of professional scaffolding erectors and installers, have a wealth of knowledge and experience in providing a range of scaffolding installations of all sizes and at competitive prices. In order for us to provide our extensive scaffolding services, our team of scaffolders have access to a fully stocked warehouse with the latest materials and equipment. Our scaffolders work on projects of all sizes, so whether you have a small individual domestic task or are a multi-national company needing commercial scaffolding on a much larger scale, we can help you! No matter how large or small the job is, we cover all domestic and commercial projects! If you are looking for a professional and reliable scaffolding company in Birmingham, look no further than AGC System Scaffolding Ltd. For a free quotation, please do not hesitate to contact us today, where we will be happy to help your further. Simply fill in the online enquiry form or call 01908 969 194 and ask to speak to one of our professional scaffolders. 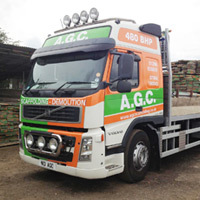 Serving Birmingham, AGC System Scaffolding Ltd have over 20 years of experience in providing both domestic scaffolding and commercial scaffolding services. We also offer a site visit, where we will help plan and install the correct scaffolding to your property, no matter how large or small. We will transport our products and scaffolding to Birmingham and the local surrounding areas in our own in-house fleet of vehicles. We also have the full support of our own mechanical loading lorry.